Funnel AI, a local technology startup co-founded by a brother and sister, hit a major milestone in the past few months as it brought in $1 million in annual recurring revenue through subscriptions for its flagship software tool. 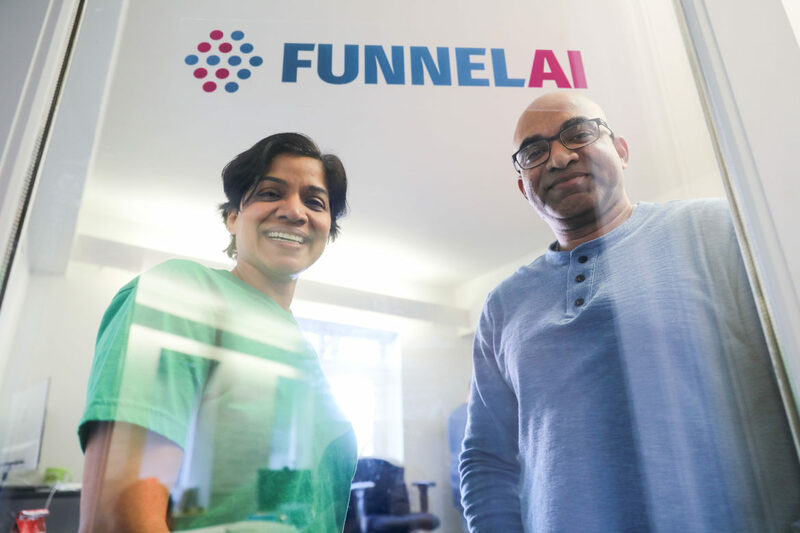 Funnel AI — founded in 2017 by Chief Strategist Suja Kamma and CEO Sridhar Kamma — raised a seed round from investors in 2018 that brought its total investment so far to about $500,000. The startup found what it described as a product market fit, basically where its customers are and what they are willing to buy, after a few iterations. The company initially sought to sell a software tool that scours the internet for people who have expressed intent to buy or sell vehicles. It later aligned its algorithms to focus on the automobile market as a whole to include parts, services and even financing, and now it is discussing a potential pilot program with General Motors Co. (NYSE: GM) and Ally Financial Inc. (NYSE: ALLY). Also, the startup initially sought to sell its product to all businesses but delved deep into the auto market last year, and it has future plans to include other mobility options like ride-hailing. The natural language processing software parses out various expressions relating to automobiles as people signal their interest in different ways. The startup needs about 10,000 data points to train the machine learning algorithms for each industry. It also built a dashboard so social media teams can reach out to existing customers of original equipment manufacturers during major life events, such as birthdays or a child’s high school graduation. The machine learning algorithms sort data that employees at those companies were analyzing manually. Often, social media listening software picks up keywords, which can introduce too many false leads. “Other platforms are based on demographics or keywords when people are searching for cars,” Suja Kamma said. “You don’t have to target an ad to someone who is just curious,” such as someone who Googled a car make and model. The startup hired several employees over the past year and has eight so far. It has job openings for senior technology roles such as a full stack engineer and a machine learning engineer. Those new roles are critical for the startup, its founders said. In the coming year, it plans to branch out into real estate. 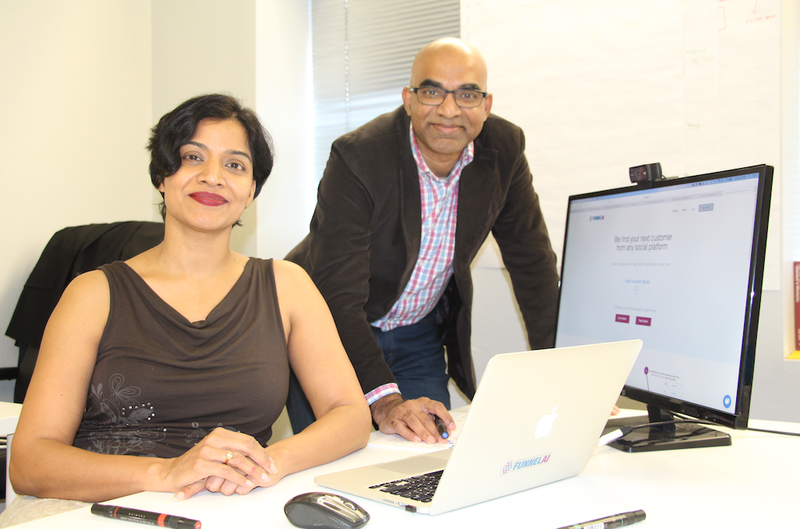 The featured image CEO Sridhar Kamma, left, and Chief Strategist Suja Kamma are brother-and-sister co-founders of Funnel AI, a technology startup in in San Antonio.